Cr. 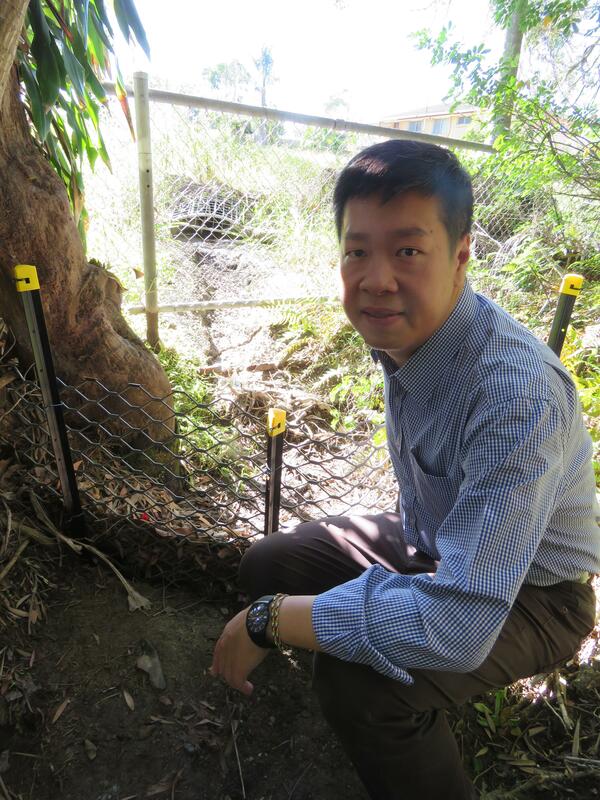 Steven Huang was interested in everything when he visited Roly Chapman Bushcare in February. 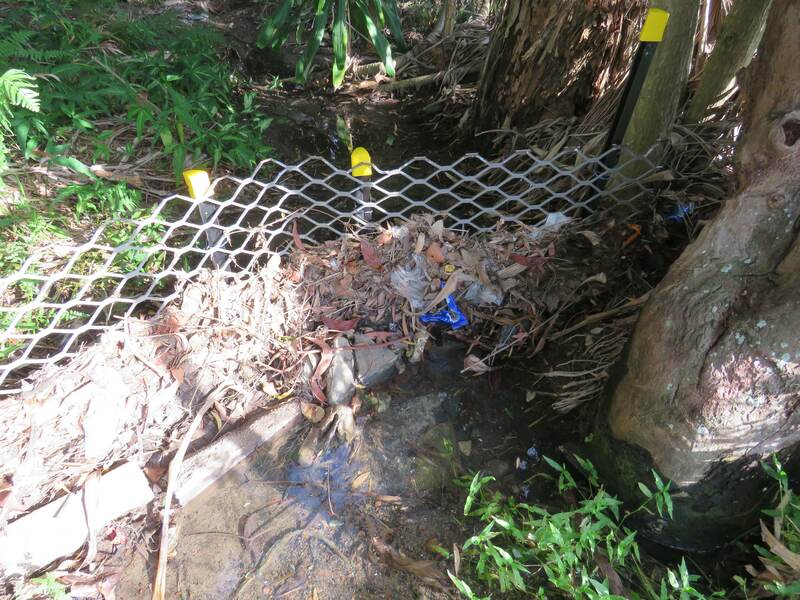 He was particularly impressed with the Gross Pollution Trap installed to catch drink containers and plastic bags washed out of the storm water drain. The trap was made with a recycled security screen and star pickets. We have been waiting on a storm event to test out the structure. 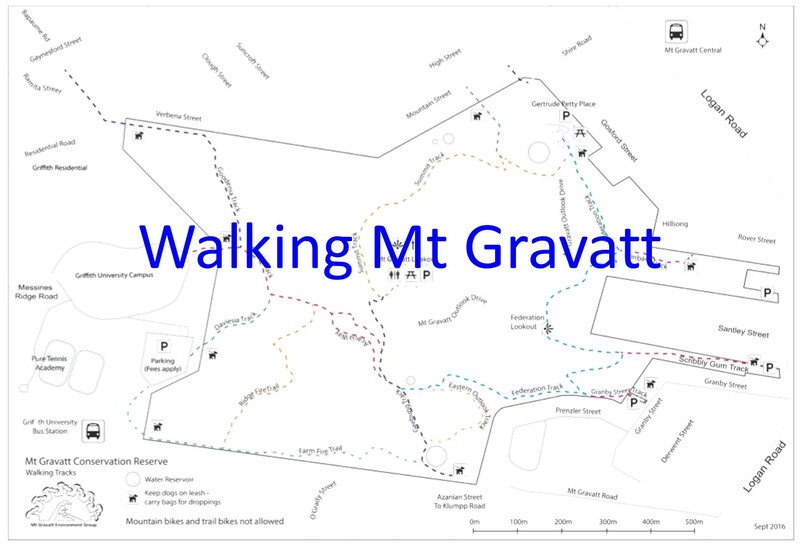 Last week’s storms dumped about 170 mm of rain on Upper Mt Gravatt in 24 hours. A good test for the Pollution Trap. 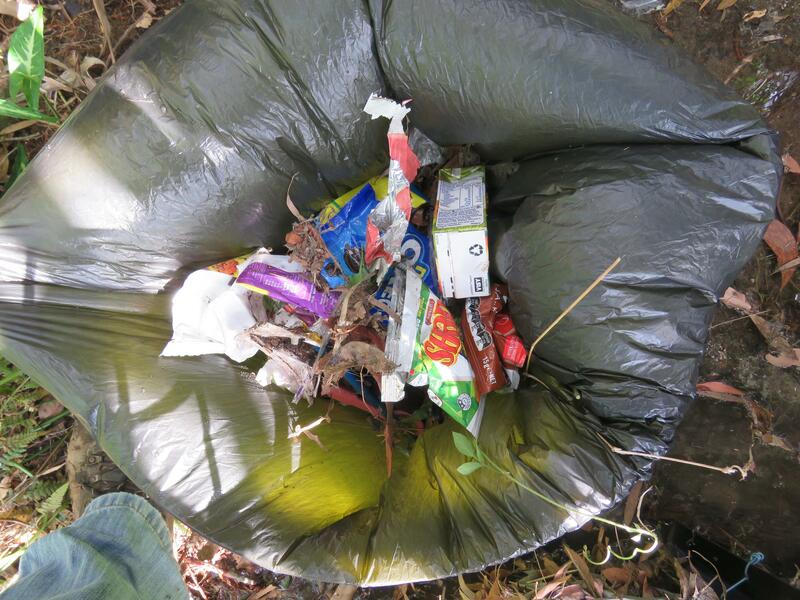 Plastic bags and drink containers that didn’t pollute the bushland. 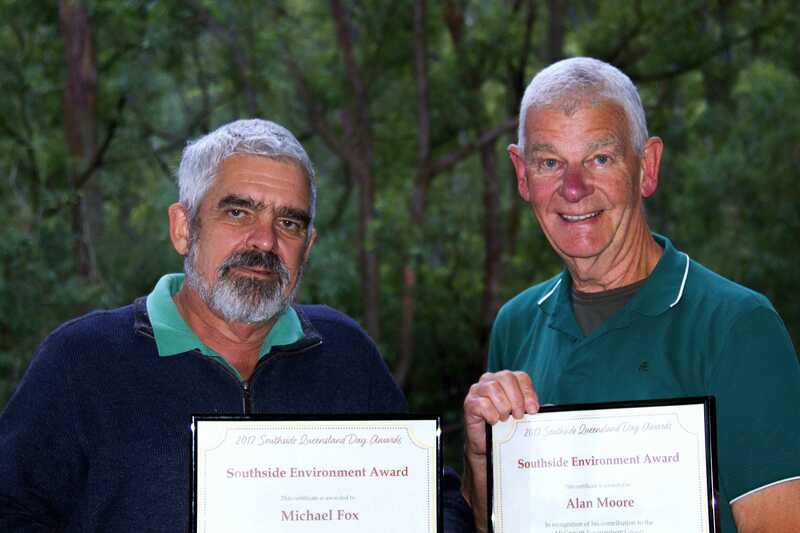 The success of the pollution trap is great contribution to protecting our bushland. 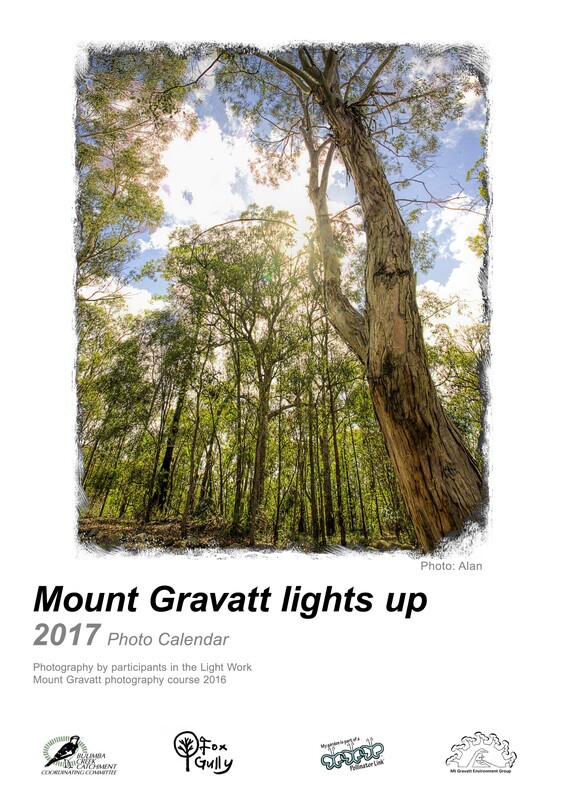 You can make a contribution by joining Clean Up Australia this Sunday.